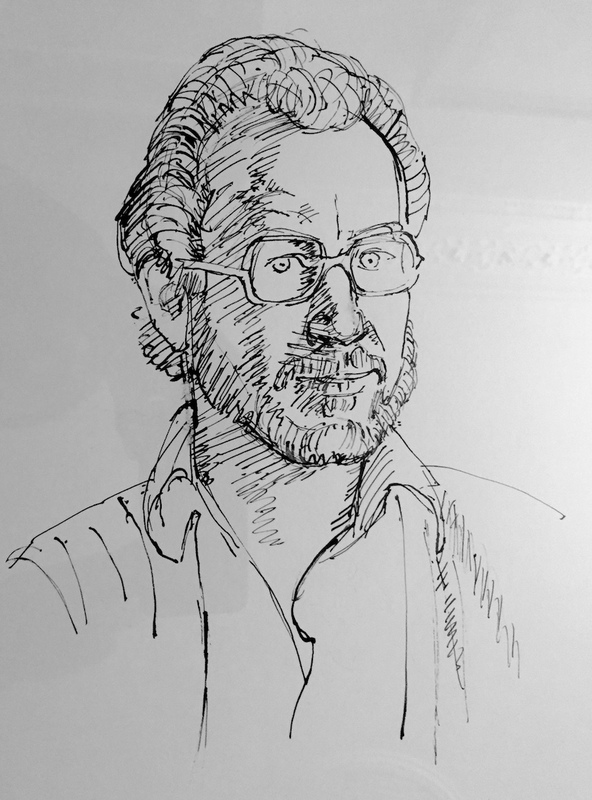 Internationally respected as an expert on 20th-century art, Michael began his career in 1964 while still a student at Cambridge University (where he edited ‘Cambridge Opinion’) by writing exhibition reviews for the London “Observer”. Despite the offer of a permanent post on the paper, Michael left England, spending a year in Barcelona and Madrid before moving in 1966 to Paris, where he took up a job at “Réalités” magazine. In 1969 he joined the daily ‘Le Monde’ as an arts and literary editor for three years. Through the 1970s Michael reported on cultural events across Europe for the “New York Times” and the “Financial Times”, becoming Paris correspondent for a wide range of art magazines such as “Art News”, “Connaissance des Arts” and “Art International”, where he was appointed Senior Editor (1978-84). Michael translated “Interviews with Francis Bacon” into French with Michel Leiris (1976) and published “Imagination’s Chamber: Artists and their Studios” (New York, 1982; London, 1983). He also worked with the photographer Hans Namuth on a film about Balthus for the Metropolitan Museum, New York (1983-84). 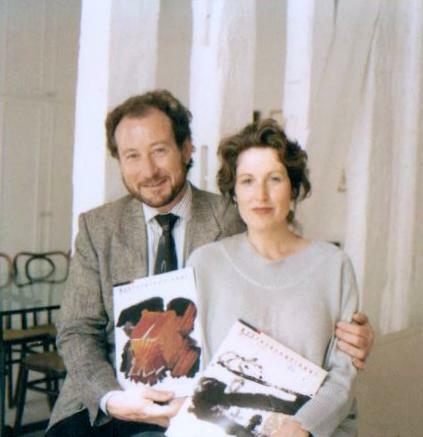 In 1985 Michael became owner, editor and publisher of “Art International”, relaunching the title (founded in 1956) in a new format from Paris. Some of the issues were devoted to living artists whom Michael most admired, such as Francis Bacon, Antoní Tàpies and Anselm Kiefer. 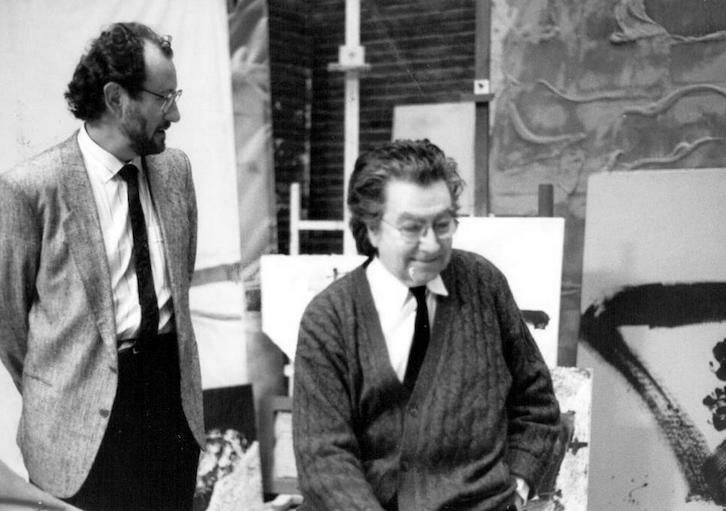 In 1994 (after living abroad for nearly thirty years), Michael returned with his wife, the art historian Jill Lloyd, and their two children to London, where he wrote his biography of the painter Francis Bacon, whose close friend and commentator he had been for thirty years. “Francis Bacon: Anatomy of an Enigma” (London, 1996; New York, 1997) was serialised in the London “Times” and chosen as Book of the Year by the “New York Times”. Translated into several languages (Spanish, German, French, Japanese), it is considered the definitive account of Bacon’s life and work. Michael has curated numerous exhibitions, notably retrospectives of Francis Bacon and Alberto Giacometti in Europe and the US and travelling exhibitions of the “School of London” (Bacon, Freud, Auerbach, Kossoff, Andrews) in cities across Europe from Copenhagen and Paris to Vienna and Venice. In 2001 he curated an important travelling show of Giacometti and published “Alberto Giacometti in Postwar Paris” (London & New Haven, 2002). The following year, he curated with Jill Lloyd the Christian Schad retrospective at Musée Maillol, Paris and the Neue Galerie, New York, and published the monograph “Christian Schad and the Neue Sachlichkeit”. In 2004, Michael organised for IVAM (Valencia) and Musée Maillol the highly successful exhibition, “Francis Bacon: The Sacred and the Profane”. As well as publishing widely in English, Michael has brought out several books in French, including “Van Gogh, ombres et lumières”, “L’atelier d’Alberto Giacometti”, “Francis Bacon au travail”, “L’Ecole de Londres” and “Les dilemmes de Jean Dubuffet’’. In 2004-05 Michael organised a travelling retrospective of Tàpies’s work for three venues in Brazil (São Paulo, Rio and Brasilia). He curated “Francis Bacon in the 1950s”, which was shown at the Sainsbury Centre in Norwich in 2006 before going to the Milwaukee Art Museum and the Albright-Knox Art Gallery in the US. He also co-edited the catalogue for Jill Lloyd’s “Van Gogh and Expressionism” exhibition held at the Neue Galerie in New York in 2007. In 2008 Yale University Press brought out a collection of his essays on Francis Bacon (“Studies for a Portrait”), while Constable in London and Skyhorse in New York published a revised, updated edition of his classic biography, “Francis Bacon: Anatomy of an Enigma”, to coincide with the Bacon centenary exhibition in London, Madrid and New York in 2008-09. A highlight at all three of these prestigious venues (Tate Britain, the Prado and the Metropolitan Museum of Art) was the lecture that Michael gave on the artist whose work and personality he knew better than anyone else alive. In 2009 Michael curated an exhibition of sculpture by Dado for the Venice Biennale, a Maillol retrospective for Barcelona, and a Caravaggio-Bacon exhibit for the Galleria Borghese in Rome. More recently he has organised a show of rarely seen sculptures, paintings and drawings by Giacometti in New York and brought out a monograph, “In Giacometti’s Studio” (Yale University Press), to accompany the show, which then travelled to the Museum of Modern Art in Gallarate, Italy. “Interviews with Artists (1966-2012)”, a selection of talks and studio visits with over forty of the outstanding artists Michael has known over the years – from Dubuffet and Balthus to Sean Scully and Tony Bevan – has just been published by Yale University Press. To accompany the book, Michael has also curated an exhibition of works by many of the artists interviewed at Eykyn Maclean in London. Michael has several new exhibitions under way, notably a Miró retrospective (“Joan Miró: A Painter amongst Poets”) for Hamburg and Düsseldorf, and an overview of modern British sculpture for Rome. His latest Giacometti exhibition, “Alberto Giacometti: Portraits of his Inner Circle”, was shown in Hamburg in January-June 2013, and a German edition of his “In Giacometti’s Studio” was published to coincide. Michael is currently working on an anthology of Francis Bacon’s statements, letters, little-known interviews and studio notes, and the first of several memoirs. In 2005 Michael was awarded a Ph.D. by the University of Cambridge for his published work in the field of 20th-century art. He is a member of the Society of Authors and the Royal Society of Literature, and in 2010 he joined the international board of the Palazzo delle Esposizioni in Rome.